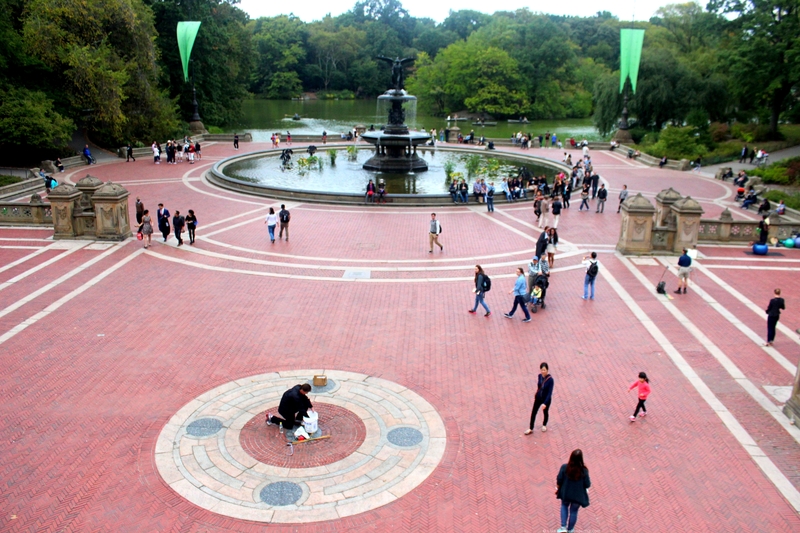 7 things you probably didn’t know about New York. New York sometimes called “The Big Apple” is an absolutely stunning city. It took about 7 hours with a British Airways flight from London to get there and it was well worth the trip. Like with every city, people have expectations of what they envisage a city to be before they arrive. It could be a reflection of other people’s views, perhaps from watching a movie or just sheer imagination. 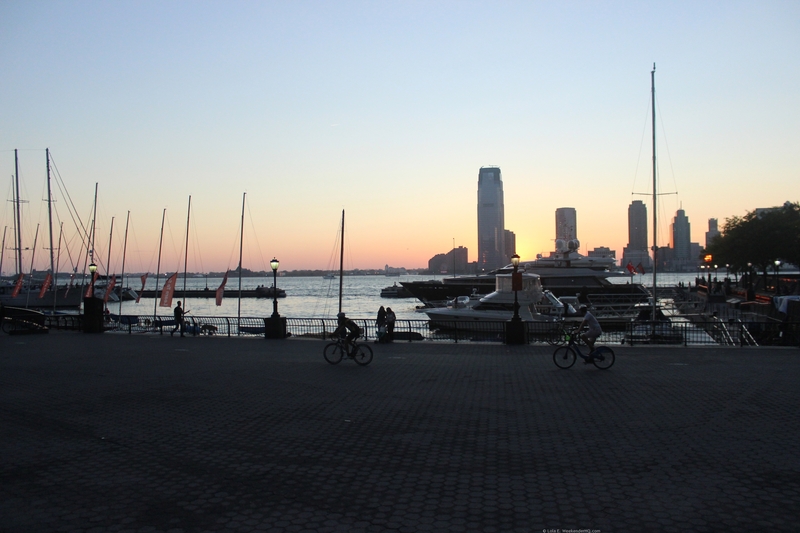 For me, the city of New York was close to what I had imagined and more… colourful, beautiful and buzzing! Here are some interesting highlights of my trip of some things that may surprise you. *An important thing is there is a difference between the State of New York and City of New York. 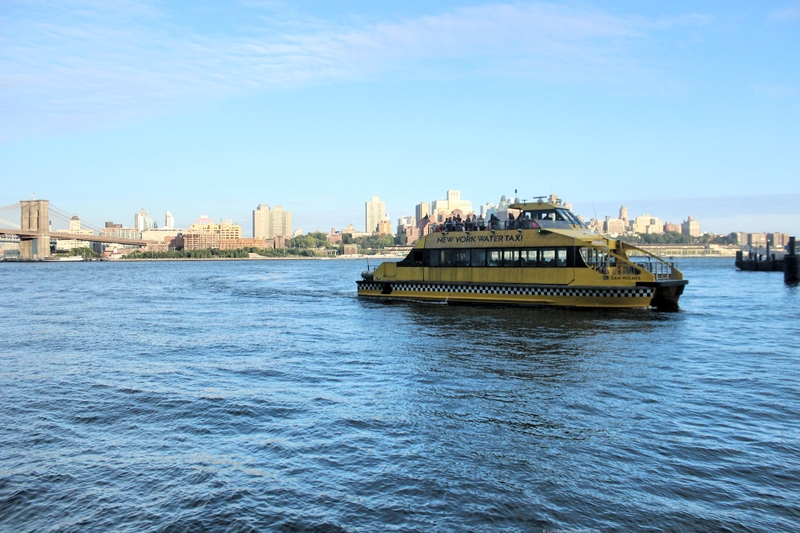 New York City is beautifully located on a large natural harbor along the Atlantic coast. So essentially, New York City is spoilt with spectacular views! 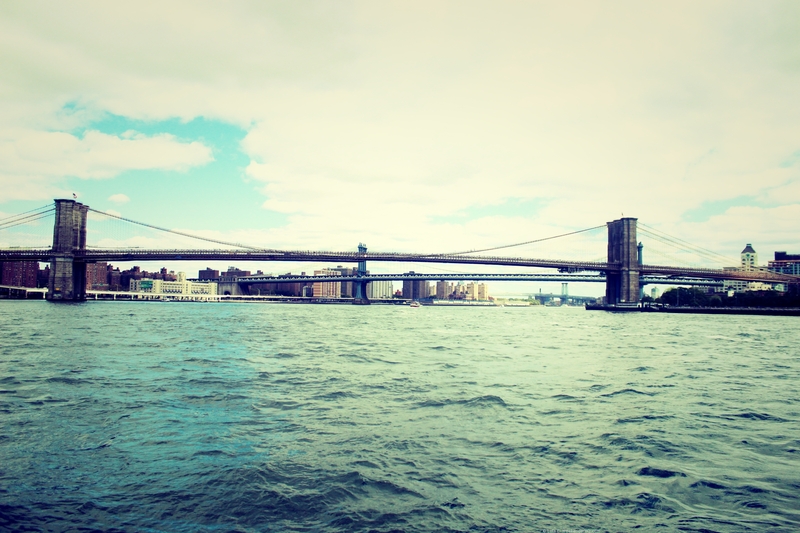 There is a wealth of water from rivers, creeks, straits and bays surrounding New York City. Geographically, water helps separate New York’s five boroughs from each other: Manhattan is an island surrounded by three rivers and the Atlantic Ocean; Staten Island is separated from New Jersey by two tidal straits and is cut off from the rest of New York by the New York Bay; Brooklyn, along with Queens, is part of the larger island of Long Island; and the Bronx is the only borough connected to the rest of the United State’s mainland. Read more here. 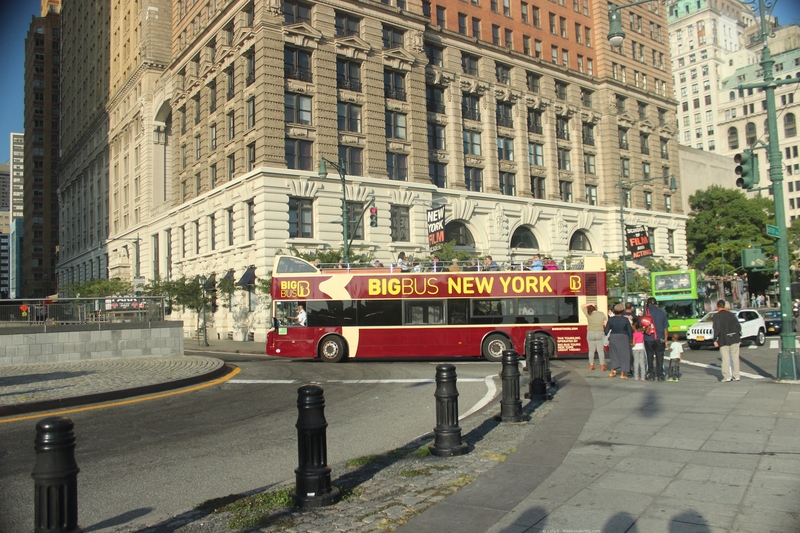 New York city is commonly referred to as the greatest city in the world! I heard the phrase several times and I have the picture below to show for it!! 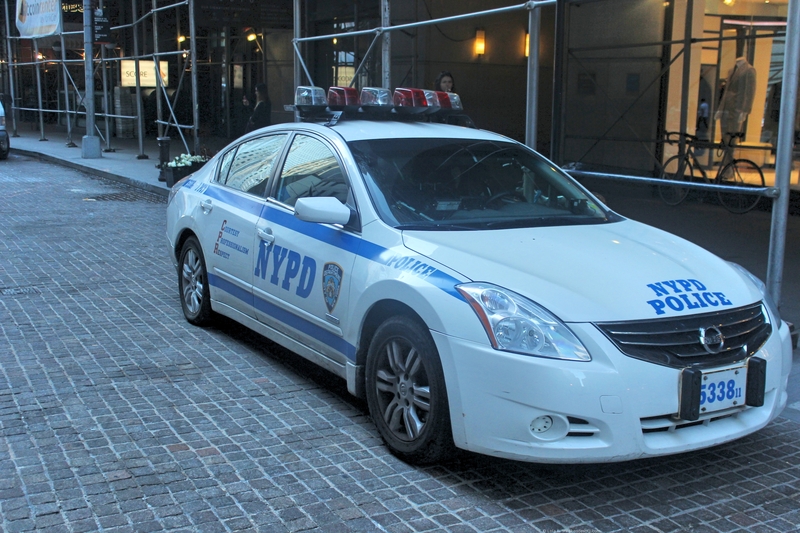 True or False, I think it is brilliant that New Yorkers can boldly say that!! A common notion of America, especially when compared to the UK is that there their culture is quite an unhealthy one. New York City on the contrary seemed to defy this. There were so many runners, cyclists and what seems to be a yoga studio on almost every block. 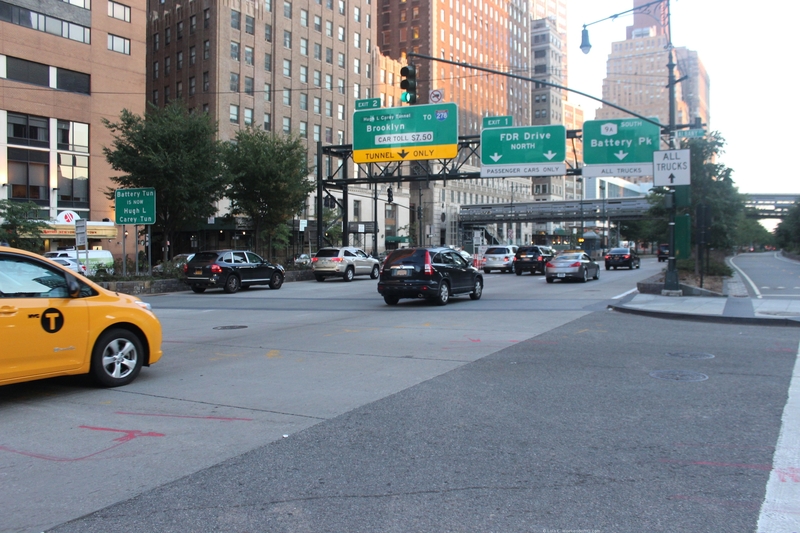 New Yorkers apparently walk everywhere, as it is quite difficult to own a car. 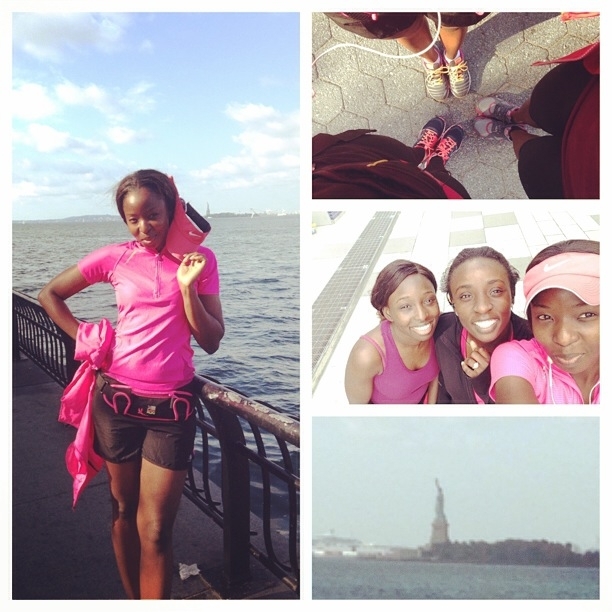 Doing our bit – Myself and my sisters on an early morning run by Hudson river in Manhattan. According to some research, New Yorkers spend more money than all but two other American cities on gym memberships. They also have a variety of food to cater for most kind of eaters, from clean and healthy foods to Vegans and Gluten Free. The calories in most foods were even listed in a number of eateries. 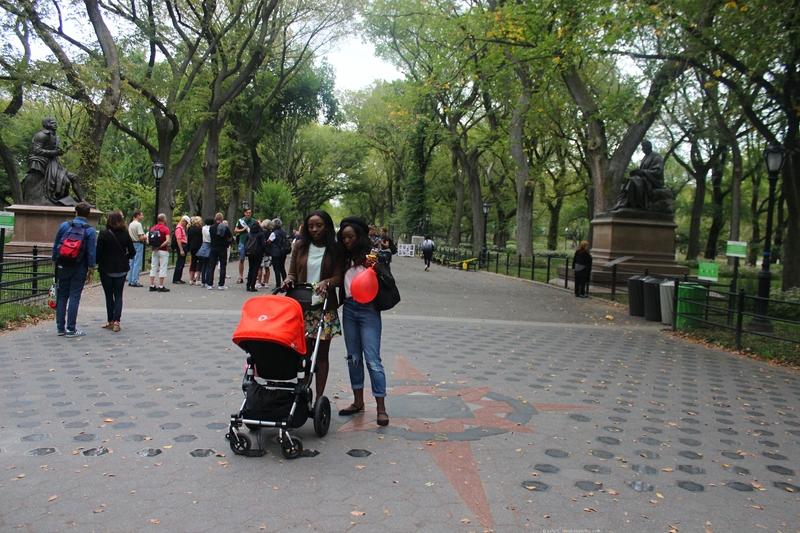 See this article on What New Yorkers Can Teach The Rest Of America About Living Well! 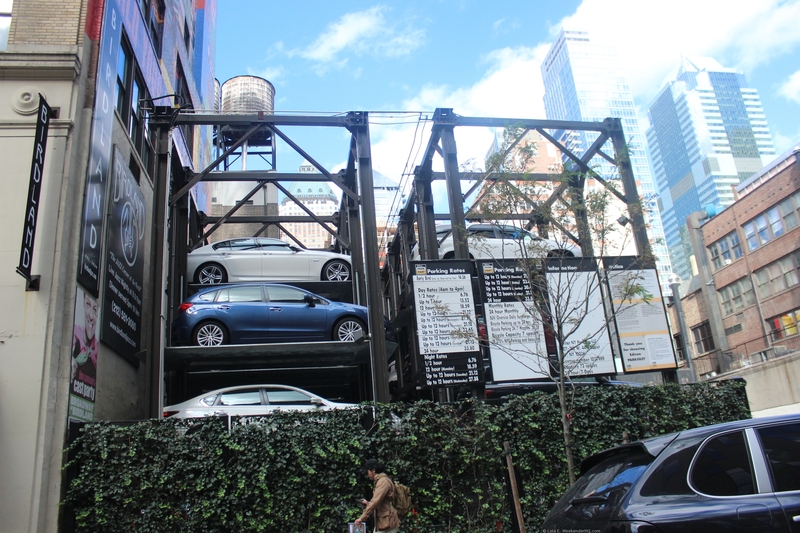 New York have incorporated the Stacked Car Park System in some areas. Now, this is the first time I have seen this! New York has an amazing skyline with lots of extremely tall buildings, and numerous iconic buildings such as One World Trade Center which is the tallest building in New York, it rises 1,776 feet (541 m) and was topped out on May 10, 2013. Other iconic buildings such as the Empire state Building, Chrysler Building and 40 Wall street stand tall. 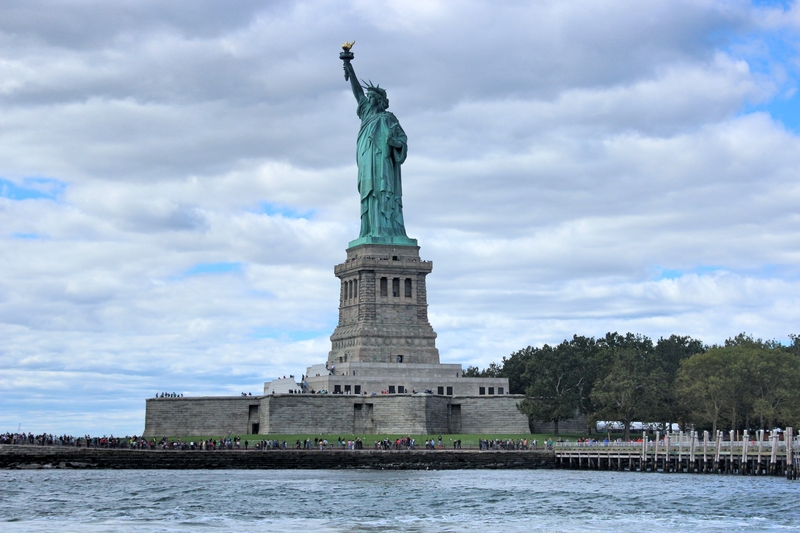 Among the overflowing field of landmarks visible along New York Harbor such as the Statue of Liberty and Ellis Island, New York is home to the fourth biggest clock in the world. It is a Colgate clock. The clock is in Jersey city which is a 5 minute boat ride away from New York City. The New York city subway system doesn’t rank high in terms of cleanliness and clarity. I understand that it does take you almost everywhere in the city and it is considerably cheap but it wasn’t one of my favourite subway systems compared to some other cities I have visited. Read more here about its subway system. Interesting! There is so much to the city. Yes there is Oye! 😉 thx for sharing! Wow! I would love to visit NY. I enjoyed your interesting facts especially the pic of stacked cars! That system is so common in Japan and it’s neat to see it used elsewhere. Enjoy your day! 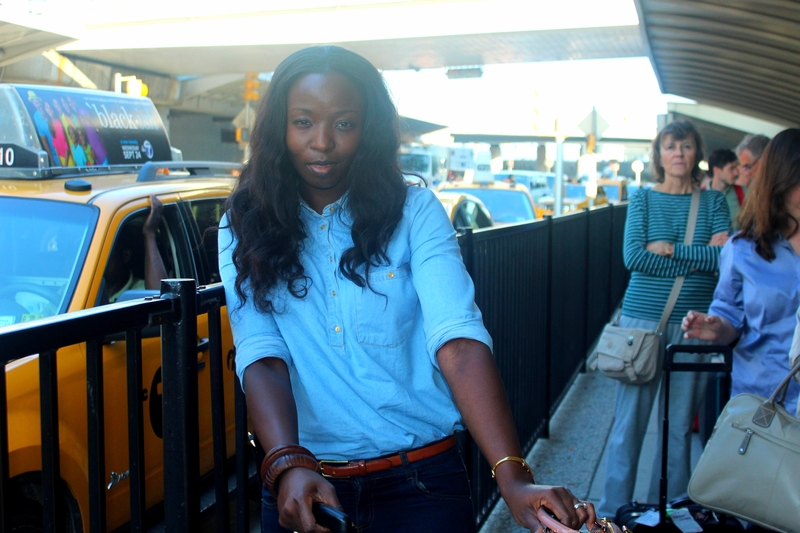 THE RUNWAY: Bee on working full time and travelling! THE RUNWAY – Em on travelling alone and more!